Updated on September 22, 2016 from original story posted on August 24, 2016. Joey Johnson had another scheduled court appearance set up for this past Tuesday the 20th, and once again asked for another continuance. The reason for the request in unknown at this time. The next scheduled appearance is set for October 24, 2016. 09/20/2016 Attorney of record is: ______ANDREW WHITAKER__________. 09/22/2016 Further proceedings concerning this matter are hereby ordered STAYED pending the ruling on the Joint Motion by the Administrative Judge, per Administrative Order. 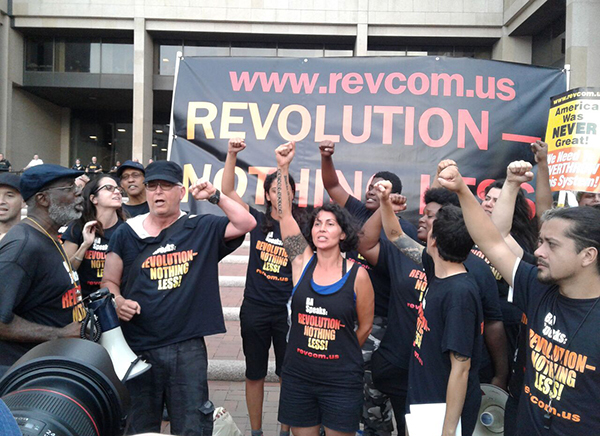 Gregory “Joey” Johnson, of the Revolutionary Communists, requested his case to be continued on Monday August 22, in regards to his assault charges from July 21, 2016 during the Republican national Convention in Cleveland, Ohio. Te next hearing is scheduled for September 20, 2016 at 8:30 am, 15th Floor Courtroom C with Judge Pinkey S. Carr. Just today papers were filed with the court for a jury trial. “America No. 1? America first? It always has been first: at genocide… at slavery… at exploitation… of destruction of the environment… of torture… of coup d’états… of invasions. We’re standing here with the people of the world today.” Stated Joey before burning the American flag. 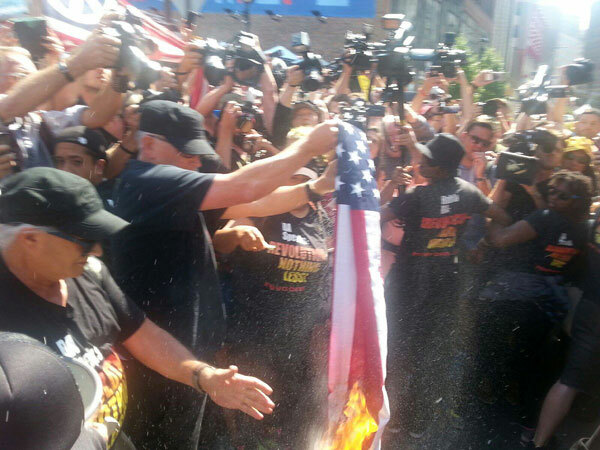 Johnson, backed up by members of the Revolution Club, set aflame the American flag. Johnson and 16 others were arrested (15 from the Revolution Club) and now face serious charges. Johnson made clear in advance why he planned to burn the flag—to make a statement about the ugly American chauvinism being whipped up inside the RNC, where the theme that day was “make America #1 again.” Over a bullhorn, literally surrounded by hundreds of police and pro-Trump reactionaries, Joey boldly said, “America No. 1? America first? It always has been first: at genocide… at slavery… at exploitation… of destruction of the environment… of torture… of coup d’états… of invasions. We’re standing here with the people of the world today.” Then he lit the flag on fire. This entry was posted in Police State, Politics and tagged Cleveland OH, inforwars, Joe Biggs, Joey johnson, revolutionary communists, RNC. Bookmark the permalink.